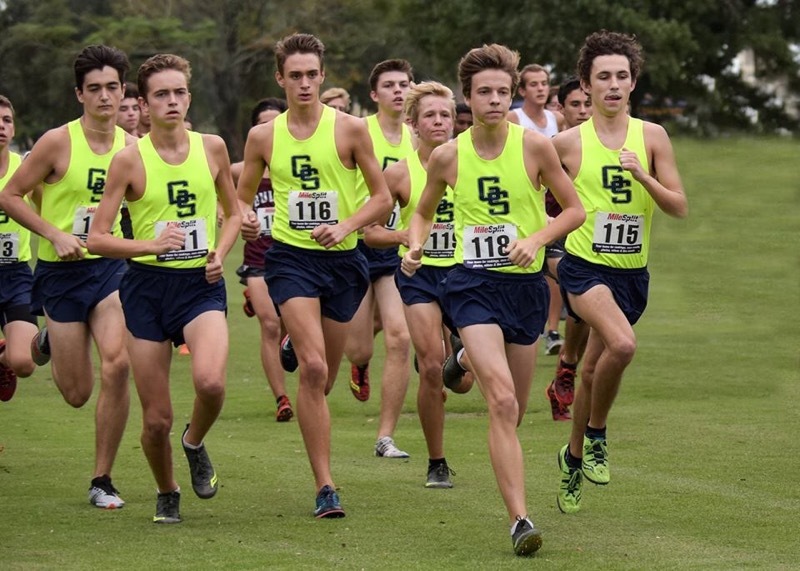 Zachary Harrigan, third to the left, is a top-placing runner at Steinbrenner. He was running since seventh grade and hadn't stopped since, he practiced for state competitions. Zachary Harrigan is a star athlete at Steinbrenner high school and has been running since his freshman year on the varsity team. It is a huge accomplishment to jump straight into the varsity team in freshman year. On top of that, Boss Cross was runner-up in the State championship his first year. “I was on varsity as a freshman and we were runner-up in the state meet, which I was on that team. I also finished fourth in AAU nationals,” said Harrigan. Throughout his running career, Harrigan grew to love cross country. But he also chose the sport and it became one of his main goals in high school. He started running in seventh grade but decided to do it in high school because his father played the sport when he was Harrigan’s age. “Because my dad ran in high school, I decided to run just because I didn’t play anything else,” said Harrigan. With hopes to make it into college on some sort of running scholarship, he really wants to push his times to the max extent. His best time is a 16:43 in the 5K, but hopes to shed some time off of that. He’s been pushing himself hard and training to make this goal time for the three mile run. “Our goal as a team is to win states this year, and my personal goal is to break a 16:10 in a 5K. I know I can run that fast and I got close in my last race but fell short,” said Harrigan. Training all the time keeps Harrigan on his toes, from waking up early to run and getting home from school and running even more, he spends a lot of time just simply running. His team and him trained over the summer and now before school, trying to make it back to states this year. “I train everyday for about an hour and a half to two hours. I run about 50 miles a week. Over the summer, I ran over 730 miles and as a team we ran 17500 miles or so over the summer,” said Harrigan. With state competitions coming up, and some smaller meets in between, Harrigan is trying to place well before his season is over. Him and his team are training in the last few weeks to try and win states or at least do very well in the final competitions. “In the next competitions, I should be placing in the top ten at least with some very good times, as a team we should win the rest of the season. We also expect to win states, but we know we’re going to have to work hard for it,” said Harrigan. Harrigan wasn’t always into running, but learned to love the sport when he saw how impressive he could be. He wanted to play a sport and jumped right into the varsity team when he came to Steinbrenner. As a result of his extensive training, he has become one of the best on the varsity team at Steinbrenner.